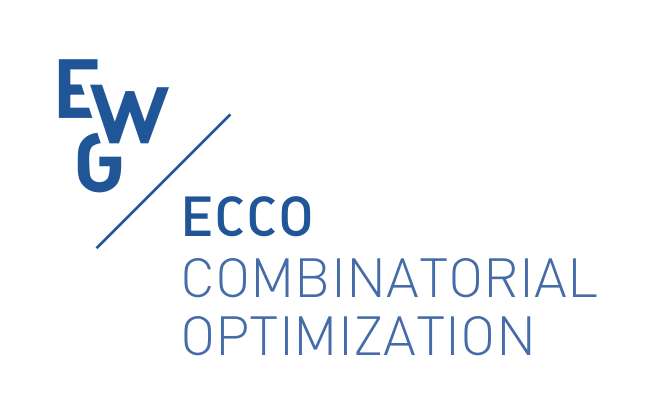 The ECCO XXVI conference has been organized jointly by the LAMSADE - CNRS UMR 7243 of the University Paris-Dauphine and the laboratory CEDRIC of the Conservatoire National des Arts et Métiers (CNAM). It took place in Paris, France. May 30 - June 1, 2013, thursday, friday, saturday. Abstract submissions: from January 14 to February 28th, 2013. Notification of acceptance: March 15th, 2013. Earlier registration deadline: May 12th, 2013. Author registration deadline (for inclusion in the program): May 12th, 2013. Participants of ECCO 2013 have the opportunity to submit papers to a special issue of the journal Discrete Applied Mathematics. Paper submissions: Extended to October 31st, 2013. Dorit S. Hochbaum, Industrial Engineering and Operations Research – University of California. Alberto Marchetti-Spaccamela, Dipartimento di Informatica e Sistemistica – Università di Roma. Peter Gritzmann, Mathematics Department, Technische Universität München. Stéphan Thomassé, Laboratoire de l’informatique du parallélisme - Ecole Normale Supérieure de Lyon.